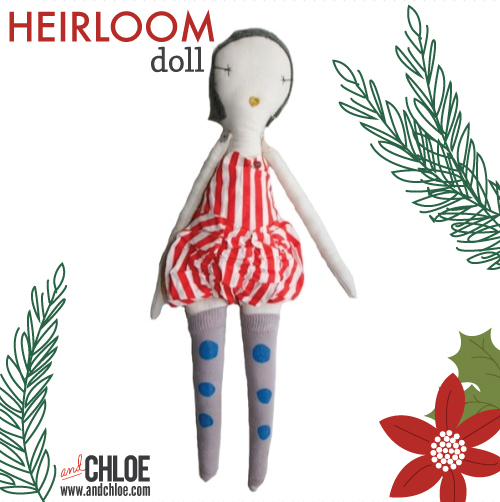 This doll will become an heirloom piece for the little girl it belongs to. Undoubtedly, she will keep this doll to hand down to her daughter as it is a beautiful handmade doll worthy of such attention. Each doll is hand dyed in persian black teas to create variations in skin tones. They are all made of cotton muslin and linen, and primarily recycled and antique fabrics and findings. This particular doll wears Wovenplay's signature striped circus suit with glass bead and hand painted dot socks.